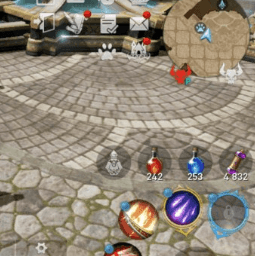 Like almost any other MMORPG, Lineage 2 Revolution Apk has all the features to join into clans and alliances. However, some people do not understand why such “organizations” are needed and, most importantly, what benefits they can bring. In this article, we will answer all the questions that interest newcomers in one way or another. You will get the best lineage 2 revolution leveling guide. before starting the lineage 2 revolution guide, first, we tell you about the clan. If we talk about the clan in the game plan, then it represents a certain community of players, numbering up to 50 people, and has its own leader – founder or user who received rights for one reason or another. To join the clan, you need to upgrade to level 10 – at this stage, you can create your own organization, but this is not recommended. As a rule, those who spent not much time in the game are not taken into good clans, and such players join together in groups, simultaneously learning the gameplay and developing the character. However, you can find a group with less exaggerated requirements, because on any server there are a great many of them. In any case, you will have to become a member of a community – good privileges and bonuses are relied on for this, which we will discuss below. But often it will not be possible to jump from one clan to another – after exiting you will be fine, and it will not be possible to join another banner for another day. If you decide on a desperate step and have accumulated a sufficient amount, namely 50,000 Adena – you can create your own clan. Everything is done simply: we always come up with a unique name, and we make an emblem – it is selected in accordance with the general concept of the clan, but it can be easily replaced if you pay for the crystals. But the name of the organization will not be changed anymore, so think carefully before making a decision. Recruitment into the team is carried out by painstaking “promotion” – unless of course, you need active players. In the appropriate menu, set one of the values: the clan is open to all interested/closed, and you can enter only at the invitation of the administrator or proxies / automatically skips users of a certain level. We recommend stopping at the second point, since clogging the slots with one-day accounts and then cleaning up everything for a long time and tediously is not the most pleasant thing. Since it will be difficult for you to get good teammates at first, find simple like-minded people – guys with whom you can have fun, do quests and go to bosses. If you understand that these people are burning with the game, and are not going to delete it a week after downloading – feel free to unite, and later look for the same clan members. In other words, it is not so important level and the presence of expensive things, as the desire to develop and not sit on the ground. The clan of the first level is like no one needs a group, only with some “buns”. Therefore, try to increase not only your own but also the organization’s rating – with each improvement, all new members and new opportunities will open up to all co-workers, for example, the absence of restrictions on the capacity of participants. Bleeding the clan is not difficult, but as many people as possible should participate in this: contributions, thematic tasks, the destruction of strong mobs, etc. It is best to sacrifice Adena, blood proof and red star stones. Having hardly risen to our feet, we advise you to purchase Clan Hall – this is a very useful place in one of the buildings of the city where members of the organization gather, communicate and have a pleasant time. The construction is worth everyone’s favorite seller Peng, Crystal Unity, buffing all comers, and a tool for creating various potions. From here start some of the most important clan quests. As usual, two or more clans can unite into one Alliance – as a rule, this is used by top-end server organizations. However, newcomers are able to build a powerful community, whose members will help each other in all situations: a siege of the fortress, raids on bosses, large-scale battles in the arena, etc. It is impossible to declare war on another group in your community. And if it is very difficult to create a good clan, then finding the same in strength and number of participants for ordinary players is almost impossible. 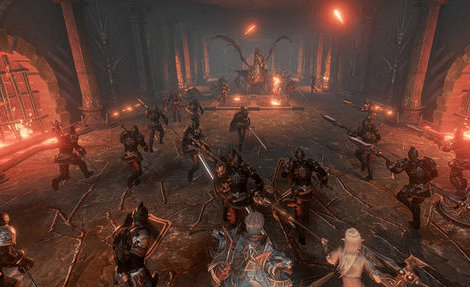 We hope this lineage 2 revolution guide will increase your knowledge. New interesting game modes, including long quests and mini-quests with a decent reward for their passage. Clan Hall and the Unity Crystal is always available – it imposes powerful buffs suitable for combat. Pan shop – in it you can buy a lot of different items and resources needed for crafting and potions (machine for mixing potions is also always at hand). Tube atmosphere for active gamers who live the game and enjoy the gameplay. That same greeting of clan members – clan coins and gold give for it. It is always nice to get money for a simple action. Coins of the clan – the main money throughout your organization. They are necessary to purchase items from specialty stores for personal use – that is, they cannot be transferred. If you want to make a gift to a friend, then you have to spend the crystals (by the way, others can also send you presents) as a thank you for your help, or as an ordinary friendly gesture. A unique shop only for the head of the clan – in it all the goods are bought for the same crystals, but act on all clan members. Suppose you can get a buff for an extra bonus to the experience gained, Adena, or the reinforcing effect of potions. The effect does not affect the characteristics of a particular character and does not increase damage, attack speed, etc. The last one in the list, but not least, is the help of teammates. Going to farm strong creeps, is there a massive PVP or raid on the boss in the dungeon? Call clan members and together it will be not only easier for you to complete the task, but also more fun. You know about clan life? Here you can explore information about clan life in lineage 2 revolution guide. If you have risen under the banners of this or that community, then it is desirable for you to literally support its livelihoods. For example, the clan has weekly tasks, for the fulfillment of which a certain reward is put. Suppose you have a one-time mission to “destroy 100 ordinary mobs,” and after that, you will receive certain resources. Your organization also has similar tasks, only they differ in scale – let’s say, in order to pick up rewards, you and clan members will have to kill 10,000 monsters. Since it is quite easy to achieve success with common forces, this is another significant plus for the aforementioned list. Much more difficult and interesting task – to carry out raids in the dungeons. Creatures, there are much more dangerous than on the surface, but at the same time, they give more gold for them. After going through the fire, water, and copper pipes, you and your fellow co-workers will get to the cherry on the cake – the strongest boss, with a huge supply of health. Defeating this mob alone is not that difficult, but most likely impossible, and it will send you into oblivion with a couple of hard blows. Therefore, it is necessary to act together, choosing a certain strategy for a monster, and typing the appropriate command. Do not complete the composition of the tanks alone or those who cause a lot of damage and remember about the characters who are able to heal and baffle wounded soldiers. If you kill the boss, you are entitled to a reward, the size of which depends on the following factors: who caused the most damage / won being in a group / just consists in a clan. That is, the hero who made the most significant contribution during the raid will bite off the largest piece of cake. 3 times less will be received by all those present, and a smaller part of the remaining clan members who are not at the time of the monster’s death in the dungeon. You can fight with any clan on the server that fits the above requirements, but is not in your alliance, and is not at war with someone else. The announcement of the war appears in the general chat and lightning-fast spread throughout the game world. Thus, the conflict will be known not only to those with whom it occurred but to all other users. The enemy may reject the proposal for war because the consideration of the application he was given no more than 7 days. If your opponent does not respond, 5 announcements per week are available for sending – you can send out orders to several clans at once, and wait for a response from them. The very essence of the war lies in the classic PVP between its participants, only you can fight on any part of the map. For winning a battle, a player is awarded prestige points, which are summed up and, ultimately, the organization that scored them most ends up in military action to its own advantage – as a result, its rating and reputation grow. In other words, when killing members of warring groups, Chaos points are not awarded, just like in the “Anarchy” mode, when everyone is “wetting each other.” Unfortunately, rewards in the form of useful resources or Aden do not have to wait. Every self-respecting clan must have a fortress, and not only because it is prestigious, but also to get some buffs and reinforcements. In the game, there are 24 fortresses, each of which, as a rule, is under the protection of influential players, and to capture it will be the most difficult task. When the opportunity to begin the siege of a structure, the auction begins, where everyone who wants to make a bid – the winner of the event gets the right to try to seize the fortress. The process itself is very spectacular and epic: the battle begins with the fact that you need to capture control points on the ground, and the defenders must defend them. The assignment of territory requires the presence of a clan leader, who is a key element in the attack and is under the protection of clan members. If one of the members of the organization was killed, he will be revived at his artifact and will be able to quickly continue the fight. Unlike the clan wars, for a siege of a fortress, your community must receive level 4 leveling and have a weighty pack of Aden to win the auction. Along with the siege of the fortress and raids on bosses, the battle for castles is the greatest event in the world of Lineage 2: Revolution, in which up to 200 people take part. The event takes place once every three weeks, and 4 clans are involved in it – 3 are attacking, and 1 is protecting their possessions. Unlike the previous event, everything is simpler here: the defenders must control their Artefacts for 30 minutes, not allowing opponents to approach them. Clans – the most important component of the game mechanics LA2: Revolution. They give you good bonuses and privileges inaccessible to ordinary users. Thus, you should not ignore the opportunity to join under the banner of any organization, starting from the 10th level of pumping. The main thing to try to find active players with whom you can go and raids, and to capture the fortress. We hope these Lineage 2 revolution guide, tips, and secrets will help you a lot. In lineage 2 revolution guide, you can get a review about Android and iOS. 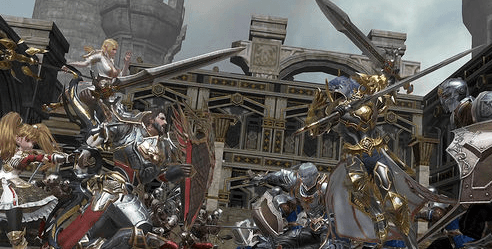 Lineage 2: Revolution on Android is the most classic MMORPG in the world. The project was developed by Netmarble for a long time, with the support of the guys from NCSoft, and became incredibly successful in a short time. The legend is alive, and invites you to enter the wonderful world of epic battles – ready? The title does not have a common storyline since each character has its own. In general, the gaming space is hundreds of a wide variety of seamless locations with cities, dungeons, and fortresses. However, the player is offered to explore the world with the help of quests – for them, he gets gold, the necessary resources, and experience to increase the level. The user creates a hero, choosing his race, the branch of development of the profession and external data. By performing quick quests, he grows and develops physical skills or spells. In addition, the character destroys mobs, fights with other gamers, enters into clans for additional “buns” and together with friends goes on bosses’ raids, seizure of territories, etc. A key feature of Lineage 2: Revolution on Android is in auto mode – the game literally passes itself and requires minimal intervention from the player. In particular, you need to start missions, sometimes press the abilities buttons in critical moments and enjoy the spectacular picture. Despite numerous negative reviews, this model of gameplay was welcomed by the fans of the series. Awesome graphic design thanks to the new version of the Unreal Engine 4. The picture is juicy and detailed, and even the smallest and most distant objects are drawn well. Big fanbase: forums, third-party sites, guides, etc. You will definitely play with someone! Large-scale real-time battles in which up to 100 people can take part at the same time. The siege process of the fortress looks fantastic. Mod Lineage 2: Revolution (a lot of money) allows you to get unlimited resources and donate a penny. The opportunity to join an existing or create your own clan, develop it and recruit other players there. 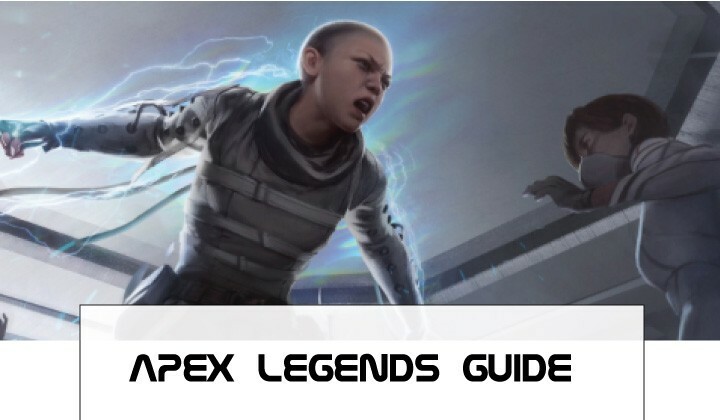 Of the visible disadvantages of the title is to allocate only the system Free-to-Play, and the lack of balance – those who have invested real money become incredibly strong and deprive newcomers of comfortable gameplay. However, to solve the problem is not difficult, you only need to download the hacked Lineage 2: Revolution from our site. Lineage 2: revolution for iOS is the beginning of a mobile series of one of the best games in the MMORPG genre, and a logical answer to counterparts from other manufacturers. Having an incredible fan audience, the project was initially doomed to success, and now all the best that we saw in the beloved “line” moved into the world of smartphones and tablets – there are some nuances. The gameplay begins with the usual character creation menu, you need to choose its gender, race, the future profession for which it will develop and, of course, external data: face shape, hair color, hairstyle, etc. The possibilities for personalization, in comparison with the PC version, are few, and creating something unique will not work, but on the whole, you don’t expect anything else. A coveted download passes and the connection to the server has taken place: a huge world opens up with seamless locations, and how you recommend yourself in it depends only on you. The first thing you need to do quests, swing on mobs and save resources for the purchase of equipment and weapons. With gaining experience, you increase the level of the hero, develop his abilities and gradually master the chosen profession. In Lineage 2: Revolution, all the basic “things” like clanging, large-scale battles for fortresses, mass TVT 50 to 50 and much more are available – this is the well-known “line-up”, only in a new and adapted form for mobile gadgets. However, everything is not so simple, and the main difference between the title and fellow is the “autopilot”. The character himself wanders around the map and completes the tasks, and your participation is required only when it is necessary to accept or confirm something. One likes this format, others don’t, but in general, the concept has received positive reviews and deserves the right to life. High-quality graphics. The project was made on the Unreal Engine 4, and the picture in it is detailed and very picturesque. Admire the views of castles or plains is a pleasure. Large-scale battles for territorial superiority just drive you crazy – it’s hard to believe that this is happening on the screen of a small device. Popularity and fanbase. Empty servers, boredom, and gloom from the bad online – all this is not about this game. You will always be with someone to go on the raid and thoroughly war with the monsters. Hacked Lineage 2: Revolution allows you to achieve unthinkable success, and quickly get the best items. Regular updates with events and contests from the creators. Sometimes the line between servers is erased and total anarchy begins – epic hacks and incredible action. Lineage 2: Revolution for iPhone and iPad is a quality product from the purebred genre. If you have time, and the desire to move to a fantastic world with monsters, beautiful sorceresses and a huge internal eco-system – you have found what you were looking for!